BUCHAREST (Romania), September 3 (SeeNews) - Standard & Poor's maintained Romania's rating at BBB-/A-3, with a stable outlook, mostly due to the country's Romania's moderate external and government debt. "The stable outlook reflects our opinion that although Romanian politics remains turbulent and is becoming increasingly interventionist--existing checks and balances will still be robust enough to withstand political attempts to interfere in the independence of institutions," S&P said in a statement late on Friday. In addition, analysts foresee that Romania's twin deficits will remain elevated as a result of the government's pro-cyclical fiscal stance, and expect that general government and external debt will increase only gradually over the next two years, barring a major economic slowdown. S&P also said it could raise the ratings if if Romania's institutional environment stabilized and the government made more sustained headway with budgetary consolidation, put net general government debt firmly on a downward trajectory, and strengthened its governance framework. On the other hand, ratings could be lowered if S&P considered that policies are eroding the independence of key institutions, undermining confidence in the stability of checks and balances, then precipitating public unrest and weakening foreign investor confidence. Moreover, S&P would consider a negative rating action if policy reversals caused general government deficits, debt, and borrowing costs to increase significantly or if external imbalances re-emerged such that Romania's widening current account deficit was increasingly financed with debt. S&P last reviewed Romania's rating in March, when it affirmed it at BBB-/A-3, with a stable outlook due to the country's moderate external and government debt, amid strong growth prospects. 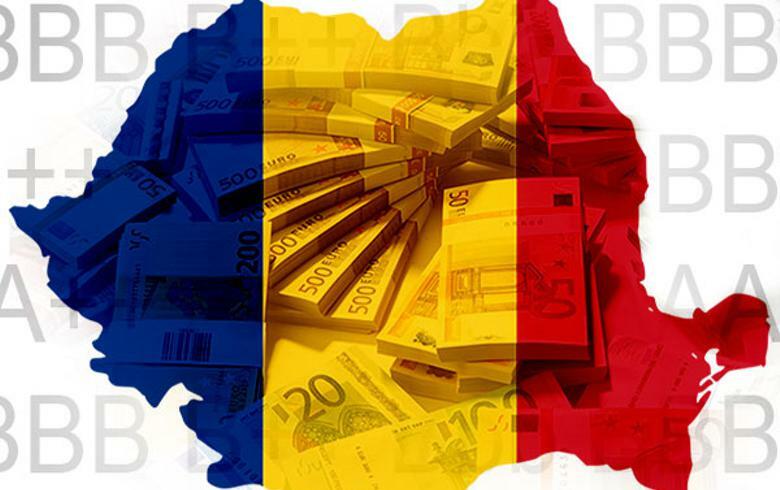 On August 25, Moody's Investors Service affirmed Romania's Baa3 long-term issuer and senior unsecured ratings with stable outlooks. Political instability and repeated government efforts to interfere in the judiciary could erode the independence of key institutions, create public unrest, make economic policymaking increasingly unpredictable, and unsettle foreign investor sentiment. Expedient and consumption-focused fiscal policy fosters income convergence but the lack of structural reform initiatives in infrastructure and education could drag on longer term trend growth and stagnate growth potential. Romania's economic growth has been strong over recent years, recently reaching levels well above potential. The economy is set to cool down from rate hikes and reduced fiscal impetus. Pressures on the fiscal position will persist in the absence of corrective measures. Current account deficits continue to widen in nominal terms, although funding remains stable. National Bank of Romania rate hikes are taming inflation this year and putting it on track to reach the 3.5% target by early 2019. The general government budget deficit remained below 3% in 2017 thanks to stronger-than-expected revenue performance, supported by high nominal GDP growth, another year of underspending of the capital budget, and increased dividends from state-owned enterprises. However, double-digit wage increases in the public sector have tilted the structure of government spending further toward inflexible social- and wage-related spending and away from investment. Romania's large fiscal deficit, amid very rapid economic expansion, highlights the country's vulnerability to potential external shocks and a sudden slowdown in growth. The government's pro-cyclical fiscal policy is eroding fiscal gains hard won during the post-crisis years. The year-end budget deficit was artificially contained, to an extent, by the effects of accounting measures related to VAT. This hid a wider structural deficit. In May 2018, the European Commission (EC) issued a warning to Romania about failing to take effective action to correct its structural deficit position. We note the authorities' strong commitment to the general government deficit remaining below the 3% of GDP Maastricht deficit ceiling, partly because a breach could jeopardize Romania's access to EU structural funds. Moreover, we observe that Romania is set to take on the Presidency of the Council of the EU in January 2019 and will seek to avoid near-term clashes with the EC. As such, we believe that the government will impose a series of fiscal consolidation measures, likely focused on further slashing its capital expenditure budget, and achieve a deficit of 3% for year-end 2018. On the revenue side, we believe that the fiscal budget will again be helped by strong nominal GDP growth, likely returning to double digits and providing a notable boost to government revenue generation. For 2019 we forecast a deficit of 3.6% of GDP, based on likely lower growth. Moderating nominal GDP growth will dampen government revenue growth and reduce room to manoeuver on the capital spending side. In this regard, we believe cutting investment spending to keep the deficit in check is not sustainable, given Romania's infrastructure needs. Closing the gap between VAT owed and VAT collected--the widest in the EU according to EC data--could help reduce the deficit. Adding to the fiscal uncertainty are the upcoming referendums, presidential in 2019 and parliamentary in 2020, which could dampen political willingness to make necessary corrective measures. For example, a recent announcement made by the government on hikes in public pensions for 2020-2021 suggests that short-term political gains could continue to influence fiscal strategy and direct allocation from the capital to the current spending side of the budget. Moreover, the government plans to make contributions to the second pension pillar optional. This could unlock flows to the tune of 0.8% of GDP into the budget, while partly diluting the long-term sustainability of the pension system. We believe the pressures on Romania's budget will persist over our forecast horizon through to 2021. Romania's public debt burden is modest in an EU comparison. In line with our deficit forecast, we also expect Romania's general government debt, according to EU methodology, will continue to increase gradually. We forecast its debt could reach 38% of GDP by 2021. Moreover, its debt profile remains constrained by a relatively high share of foreign currency-denominated debt, as well as the domestic banking sector's high exposure to the government. However, the government continues to cover a large part of its financing needs on the domestic market. Importantly, the government maintains a hard currency buffer covering four months of gross financing needs, which provides an additional safeguard during periods of market turbulence. We do not expect any significant reductions in government debt from potential privatizations in the medium term. The Romanian government has seen its proposal to set up a Sovereign Development and Investment Fund (FSDI) recently rejected by the constitutional court, and the timing for the resumption of this initiative is not clear. This fund was intended to pool the state's shares in a number of state-owned enterprises, such as Hidroelectrica, to more efficiently carry out and finance larger investment projects. The government had aimed to create the FSDI outside the general government sector as defined by the European system of national and regional accounts. In nominal terms, Romania's current account deficit almost doubled in 2017, reaching 3.4% of GDP. Robust export performance was not able to offset the impact of domestic demand on the import side of the trade balance. Rising import prices, especially for energy, also had an adverse effect on the current account. We anticipate that pressures on the current account will continue to build through 2018 and 2019 as government consumption keeps driving imports. Together with somewhat slowing services exports, this will widen the deficit. We forecast an increasing current account deficit in nominal terms, although as a share of GDP it could start declining after peaking at over 4.0% of GDP in 2019 to about 3.6% by 2021. Positively, we observe that the funding of the current account deficit stems primarily from stable, non-debt-creating inflows. Surpluses on the financial and capital account covered about 80% of the current account deficit in 2017. We think this will remain the case as long as existing foreign investors keep re-investing earnings and boosting the country's FDI inflows. Still, we observe a lack of foreign greenfield investments suggesting that investors might be increasingly concerned about the rapid wage growth, lack of infrastructure development, and persisting political uncertainties. Even if Romania fails to notably boost its EU fund absorption capacity, however, we believe its external buffers will remain over our forecast horizon. Our base-case forecast is that Romania's external debt metrics will stay moderate. We estimate its net narrow external debt, our preferred measure, will average 25% of current account receipts (CARs), while gross external financing needs will be less than 100% of CARs on average, throughout our forecast horizon. Continued external deleveraging, particularly in the financial sector--which used a period of low credit demand and rising deposits to repay loans to foreign parent companies--helped Romania achieve the fourth-lowest narrow net external debt ratio in the EU in 2017 (see www.spratings.com/sri). Romania's predominantly foreign-owned banking sector remains sound, in our view. The system's loan-to-deposit ratio declined to just over 76% at year-end 2017 from its peak of 137% in 2008. Liquidity and solvency ratios remain strong, and banks have maintained their profitability despite low interest rates. Lending growth has remained positive for the past two years, with loans to households and loans denominated in Romanian leu increasing strongly. Most of the credit growth stems from mortgage loans that benefit from the government's Prima Casa program, designed to support first-time homebuyers through a 50% guarantee by the government. Nonperforming loans have shown an impressive decline, reducing more than threefold to less than 6% of total loans by Dec. 31, 2017, from over 21% at midyear 2014. Romania continues to operate a managed float of the Romanian leu under an inflation-targeting regime with a target band for inflation at 2.5% (+/-1%). Surging inflation since the fourth quarter of 2017 prompted the National Bank of Romania to take assertive action, hiking rates three times in the first half of 2018 by a total of 75 basis points. These actions appear to have curbed inflation after it hit a 5.4% year-on-year peak in June. It has since notably calmed and we expect it will ease back toward the upper end of the target range by year-end 2018, although we cannot rule out further increases. The central bank rate hikes together with its strategy to absorb the liquidity in the bank market has sustained the foreign exchange rate. Contrary to regional peer currencies, it has remained stable and avoided depreciation. We observe that some foreign exchange reserve outflows probably helped the leu and we expect that the central bank will continue its strategy of smoothening out foreign exchange rate volatility by moderately intervening in the market."